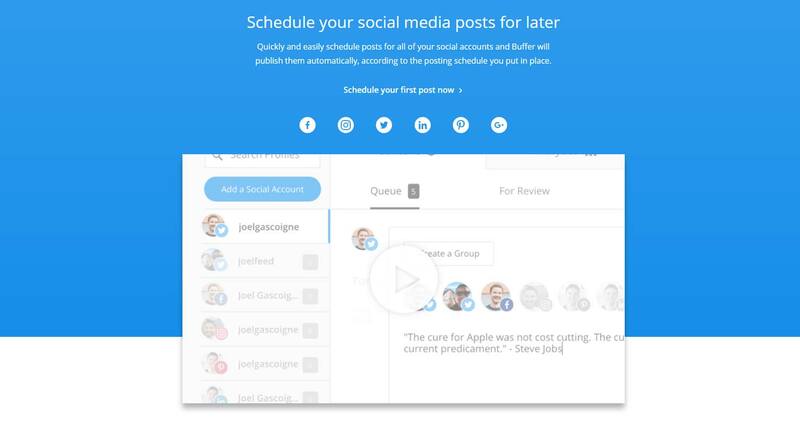 Today we want to introduce you the best and new social media software tools. Social media marketing has changed the world of advertising agencies and of all companies extremely and sustainably through the new structures of communication. Not only the communication processes are new, the entire recommendation marketing has taken a new place in the marketing mix. Also the social links among each other play a great role in the fight for the customers. Who knows who? Who is to whom? 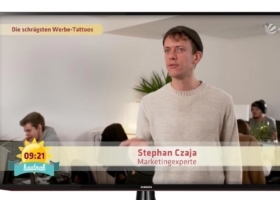 Keyword specific advertising and retargeting. An increasing number of companies rely on software products to cope with the various social networks. The software allows compiling relatively complex sequences in a short time. With the necessary computing power, software products can permanently change the work of employees in the marketing of companies. Processes from print campaigns are increasingly being replaced by digital ones. With its own, internal experts among its own employees, for setting up and operating the software, you can make big jumps. This is why many companies and agencies like the know-how of social media marketing in the company. 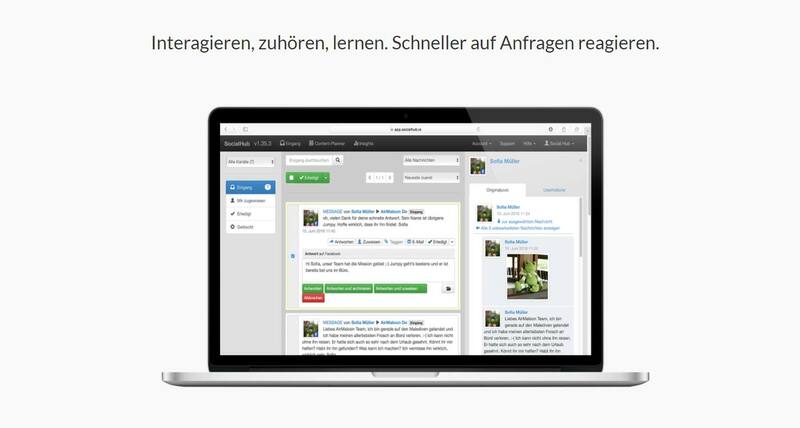 We want to present today the best software solutions for social networks! 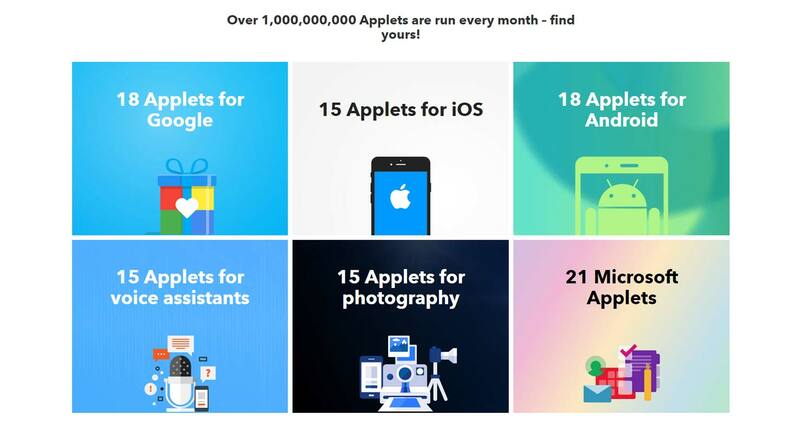 Among them are programs that help to post on various social media platforms such as Facebook, YouTube, Twitter, Instagram or Pinterest as well as more specific solutions, such as niches like Facebook Advertising. Especially from America there are numerous smart products, which deal with all the different topics. 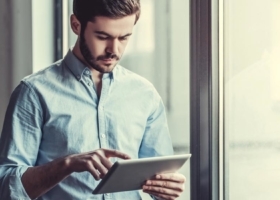 As already described at the beginning of the article, employees in sales and marketing are increasingly concerned with the issue of social marketing and social commerce. While companies in the big cities like Berlin, Hamburg or Munich are the pioneers, companies in the middle and smaller cities are increasingly losing out. Due to the large-scale distribution of the social media, the amount of information has also risen extremely. Due to this increase in the information flow, postings are ultimately played by the mere amount, more rarely to users. 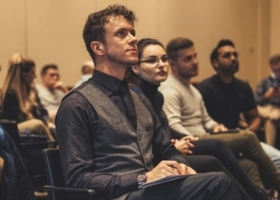 Therefore, companies must invest not only in content marketing, that is, in content with added value and relatively frequent postings but also in the management of the different networks as well as advertising advertisements to increase their own traffic. 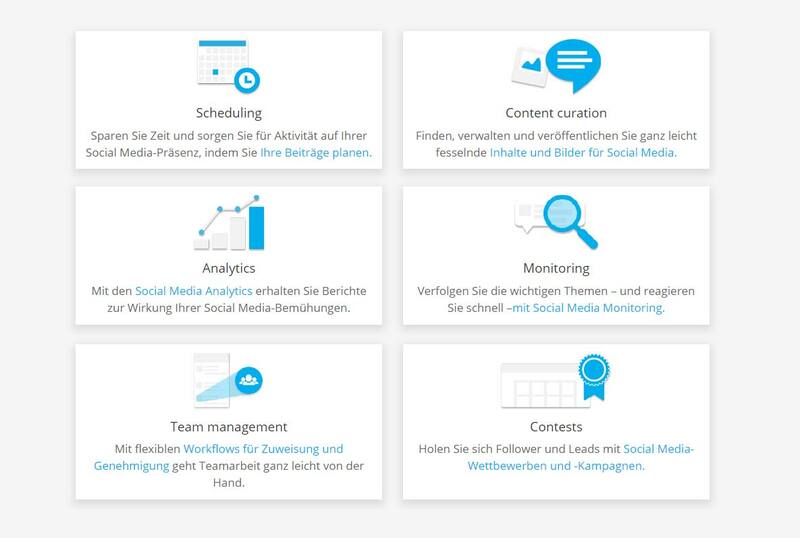 For all these tasks, there is social media software. Companies and agencies are always looking for new intelligent solutions for their social media marketing. But advertising agencies also use software, for example for the sales structures within the different networks and between customers. Over the years, some real classics have emerged, which shine with their functions and their permanent accessibility and trouble-free operation. In addition to the established programs, there are always new products around popular, new networks. Hypes are also noticeable, as is the topic of Instagram. In this “new” social network, it was still relatively easy to win many fans. 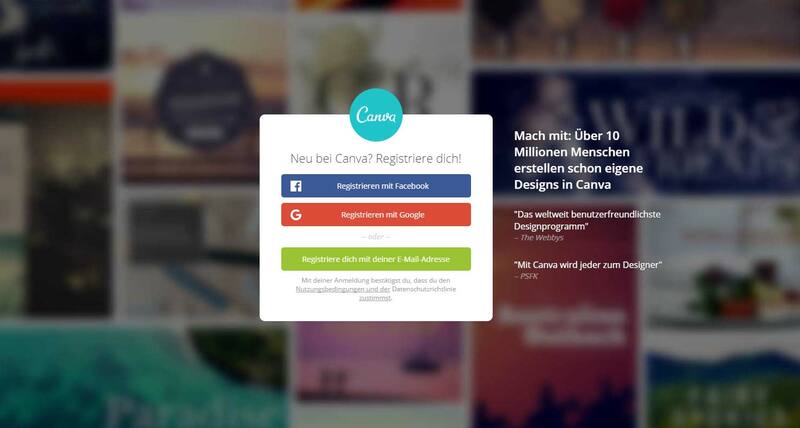 There is little about concrete content and more about quick like-expression and interaction. That is why many companies have also placed on bots. Bots imitate human behavior. Your only task is to post comments, follow the “likes”, or another person to follow or follow later. These programs are according to data protection guidelines and of course also according to API usage guidelines in the gray area. Nevertheless, many rely on you. Today, we want to focus on the most relevant software solutions and the most prestigious projects. Hootsuite has become one of the most popular programs for managing the various social networks in business. The free social media management software (upgrade optional) has been offering its service for many years. This is where companies can combine different networks and plan them together. 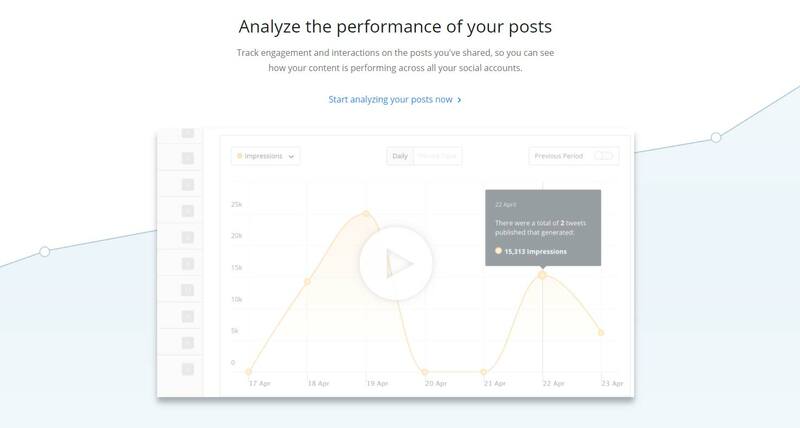 This allows you to plan the posted content for a whole week in advance or for an entire month if you want even for a whole year. This also results in many cuttings for affiliate projects. 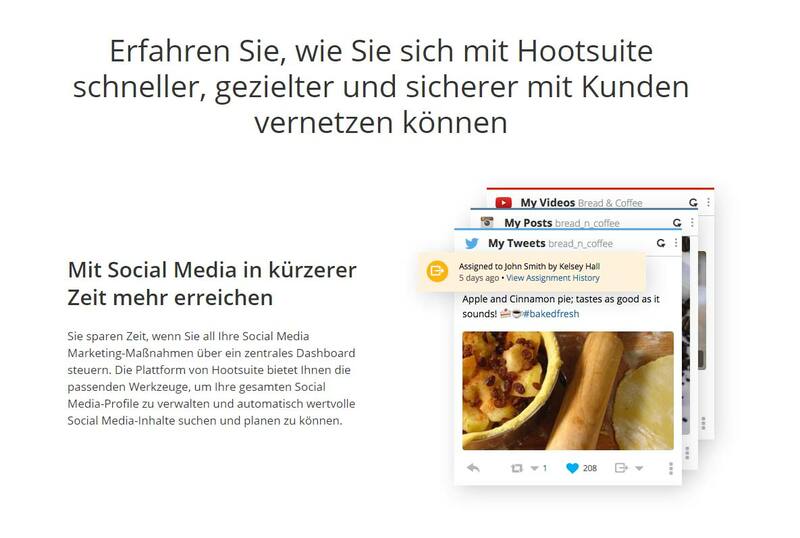 The postings are then automatically played by Hootsuite in various social networks. This requires only a simple registration. With just a few clicks you have created your account and can now add various social networks. In the free version, you only have a few networks. However, these are sufficient for a single small or medium company. For agencies and larger companies, there is the possibility to expand the package. Here, for example, many channels but also new statistics. This is especially worthwhile for social media agencies and advertising agencies, which take over the social media management for customers. Hootsuite allows it to add different networks as mentioned. For example, his Facebook channel, then you get a stream. Here you can adjust which widgets (extensions) you want to see. The first column is now our stream. This means the normal Facebook Timeline, in which you can see all already posted content, as well as the “I like” information and the comments. Now we place a second column, directly to the right. This is now for the advance planning of the content. Here you see chronologically arranged, which posting would appear next, on which date and at what time. These can be easily added. At the top left is the posting window at Hootsuite. Here you can enter the texts, upload media and select the networks on which the posting should appear. In the third column, for example, the latest interactions and comments from their own fans. In the fourth and fifth columns you can add additional widgets. In the end you have a screen where you can check the entire Facebook activities. If you add another social network, such as: Instagram or YouTube, one can also build a common board, in which the three networks are to be seen together. For example all current activities so that an employee can completely take care of the comments and the news. For a second employee, you build a board in which all the planned content should be available. Here the employee then sees Facebook, Instagram and YouTube side by side and can thus perfectly match the content. 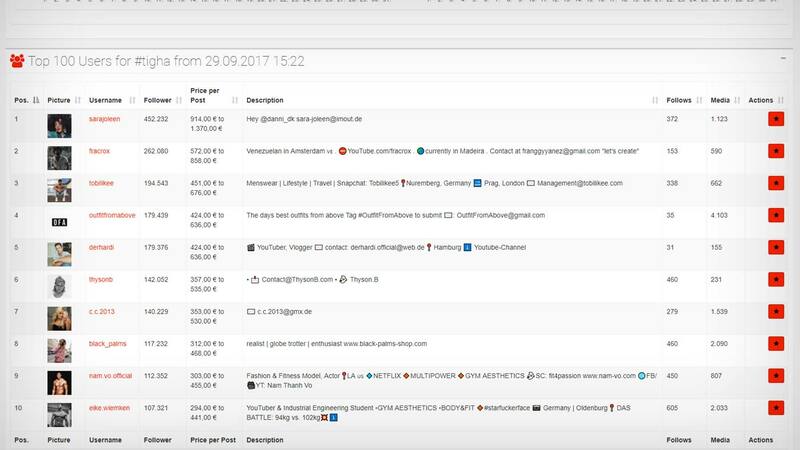 This comprehensive management makes Hootsuite one of the most popular social media software available today. 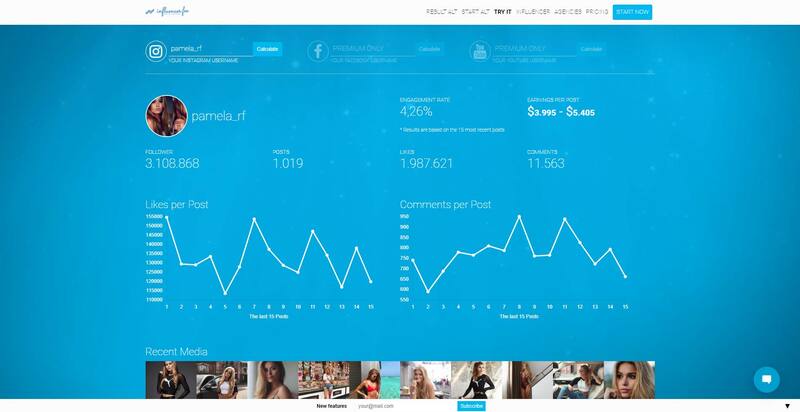 Social Analytics has specialized in Instagram and Influencer. 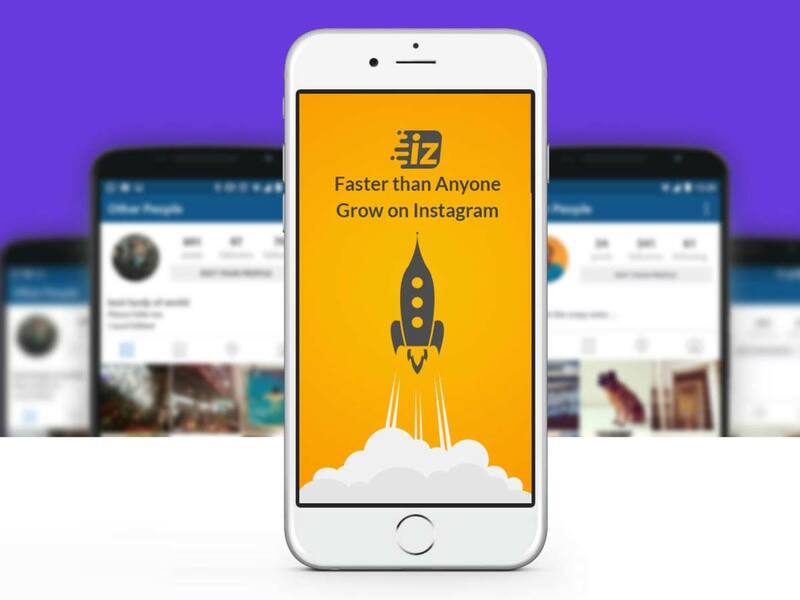 The software is brand new and provides the most comprehensive analysis methods for Instagram. You will discover new influencers. 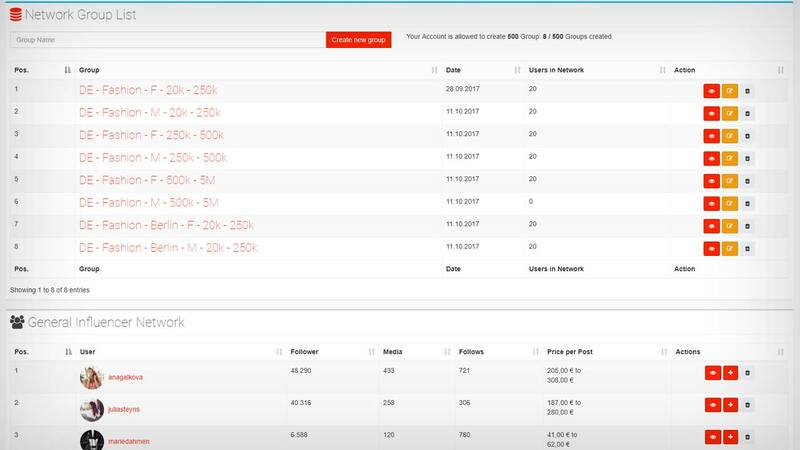 Lists allow the collection of influencers and their evaluation. With Social Analytics, you compare their favorite influencers to find the best candidates for campaigns and product placement. Social Analytics gives direct prices on the value of the Instagram channels, so the prices of influencers can be specified quickly, concretely. 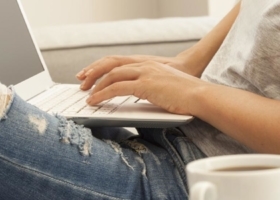 Contact Influencer from your list with just a few clicks. 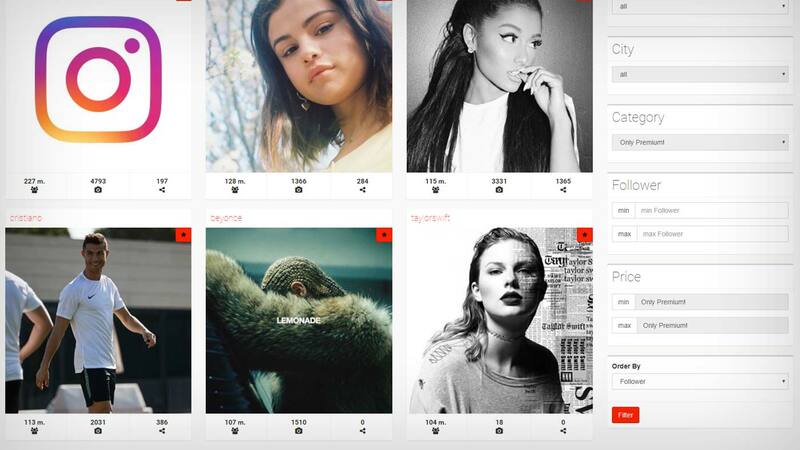 You can also monitor existing collaborations with influencers on Instagram. The hashtag analyzer also allows you to monitor hashtags retroactively. 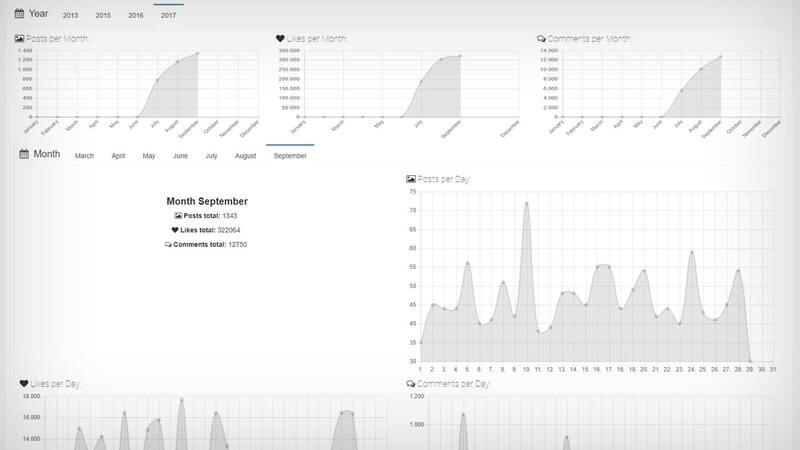 Social Analytics records data in real-time and brings your monitoring for products, services and brands to a completely new level. 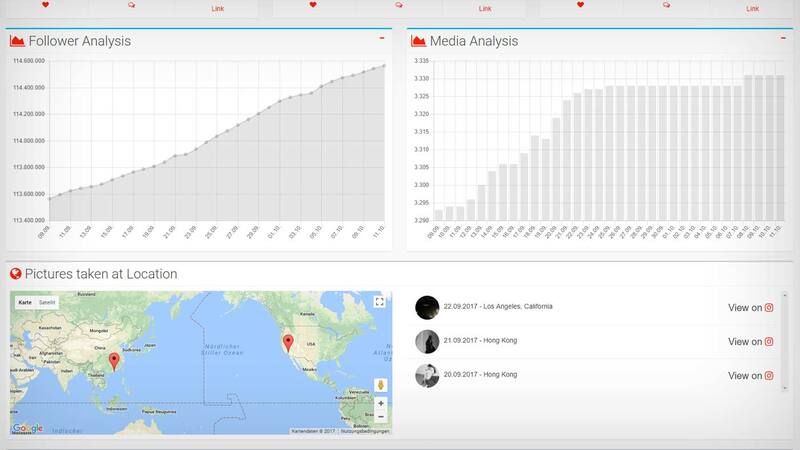 No matter whether the software is used for young start ups, with regional reference or for international brands, which spread campaigns across countries: With Social Analytics you save a lot of time with the Influencer search! This tool is the absolute madness! Social Racoon is a unique tool that links social media marketing and live marketing. The Racoon collects all postings in social networks with a mention or tag or hashtags to a clear timeline. This is worthwhile not only for campaigns in which, for example, a certain hashtag is used for posting photos, but also at live events, such as major music festivals! Everyone knows the legendary “Kiss Cam” in major sporting events in America. Here during the breaks individual couples in the audience are focused on the camera and shown on a large screen. 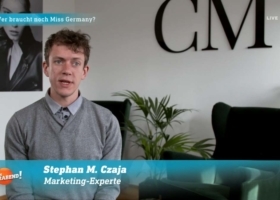 For followers, fans or guests to be an absolutely unique experience on a big screen or on the website of the international fashion manufacturer. 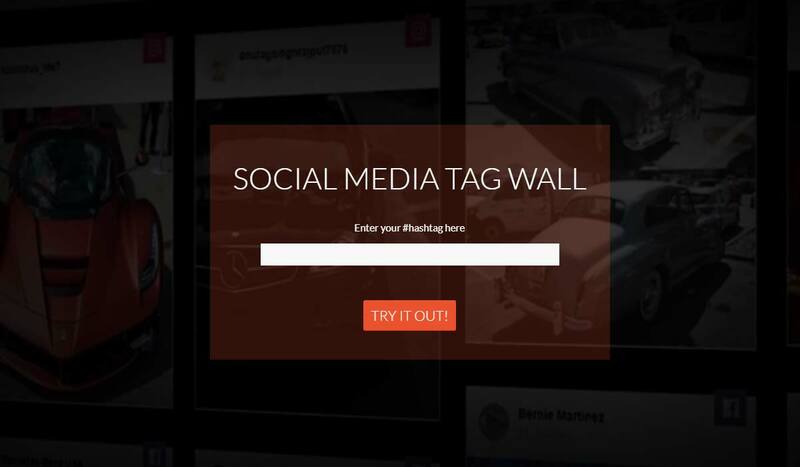 This social media software allows people to give themselves a platform to present themselves! 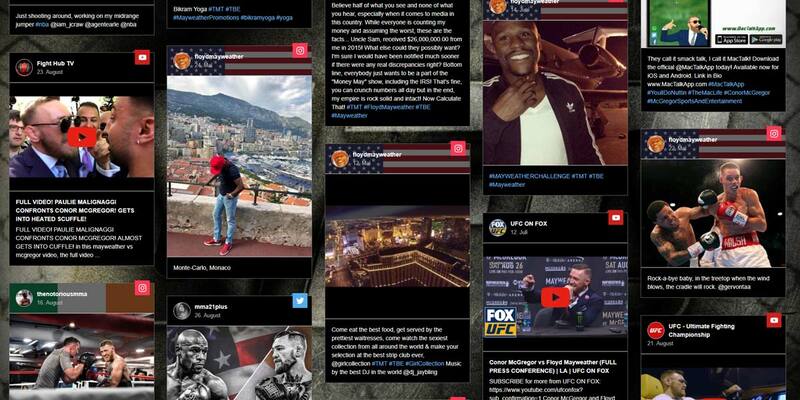 The tagboard plays live the latest postings with markers or certain hashtags. This generates an individual wall or a timeline, in which the postings are held, with all fans and followers who have participated. Thus, companies have a unique chronicle about their campaign or about the event. The software is web-based and can be easily output via the browser. Thus, it is also interesting for shops in the city center, eg. via monitors (eg via Chromecast) their own fans. Thus fashion shops could show customers who were just shopping and posted their photo on Instagram. You can also see the visitors of clubs or restaurants that are just marking. Various extensions can be implemented, such as Google Reviews. So the fans or even potential customers have an overview of the positive ratings. 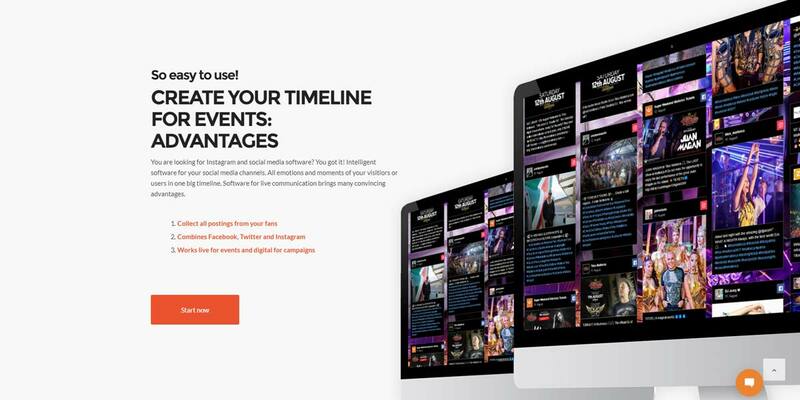 The Social Racoon software combines social media marketing with live marketing for the first time. 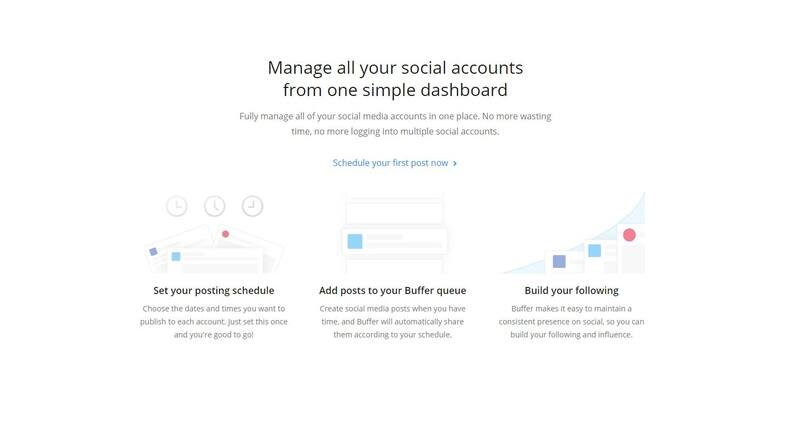 Buffer is like Hootsuite a tool with which one can connect the different networks with each other. Just as in the other program, one can link the different networks, as well as Facebook, of course, also business channels such as the business portal LinkedIn or even Google+. 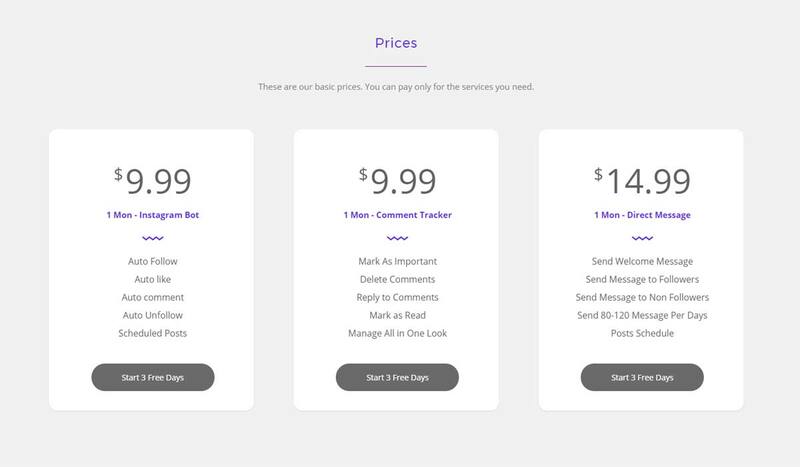 In the free version you can only link two services. 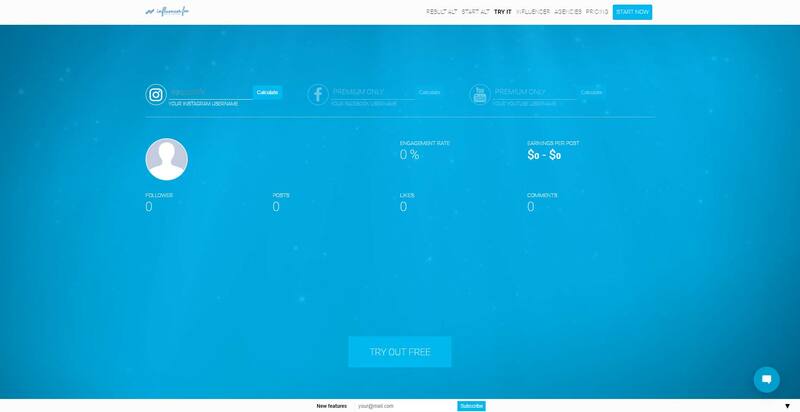 If you extended its service somewhat around the usual 10 $, one can connect up to 12 accounts with each other. Splitting does not only work with the browser-dependent software, it can also be used directly at the surfing. If you have installed the appropriate plugin in your browser, a small logo will appear above each image, clicking on it, you can decide on which social networks the respective content should be shared. Of course it also provides time-delayed posting. This means that you can determine the date of publication yourself, with individual days and individual times. According to your own preference. The registration is here just as easy, with a short registration and the subsequent authentication of the individual channels, one can go directly and start. This new software is the absolute hit for Influencer and Blogger. 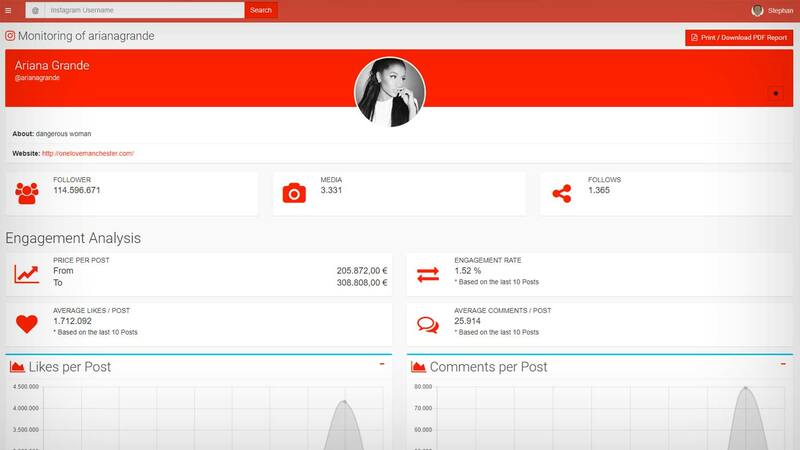 The tool calculates the value of individual postings, but also stories and live videos in combination with your channel on Instagram, Facebook and Youtube. 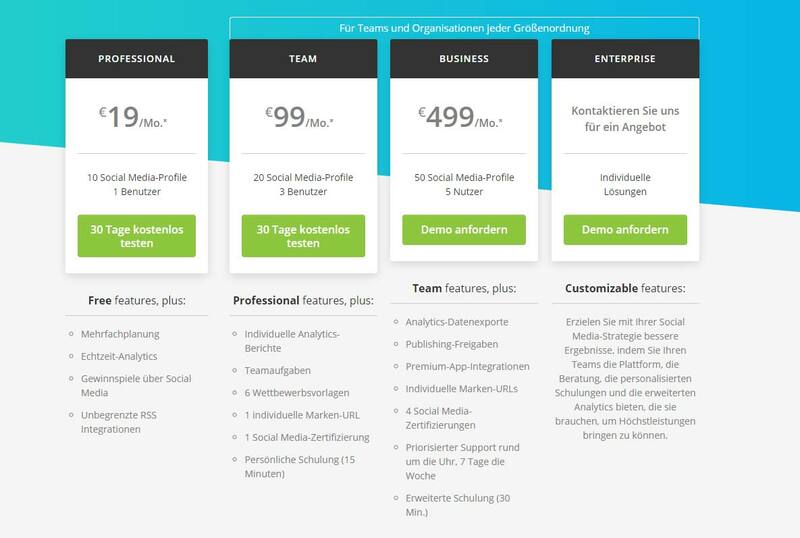 The software is not only practical for bloggers, because they can make informed offers against agencies, even for agencies, the calculation of costs for influencer is much easier and faster. With this small program you can connect not only social networks, but many applications on the mobile phone. Whether it’s an RSS feed or your own dropbox. 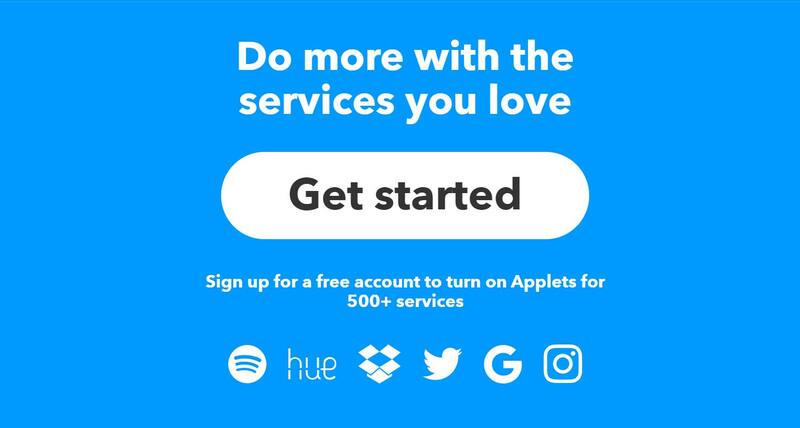 IFTTT allows you to connect the various modern possibilities quickly and in theory can use all its channels from a smartphone. The software has been around for a couple of years, but it has never been a big breakthrough, since the linking of the individual applications, not just the social networks, requires some work and work. IFTTT is certainly not the optimal tool for social media marketing for the otto normal social media manager. However, anyone who is a blogger and can invest some time in his own channel and also in the use of a single app, for which is worth installing! Social Hub is primarily concerned with the interaction of users. In addition to the usual editorial staffing, which also offers Buffer or Hootsuite, this software places particular emphasis on keeping conversations, responding quickly to employees’ comments or postings, and building long-term relationships with the user. The software promotes “social media messages as easy to handle as e-mails”. 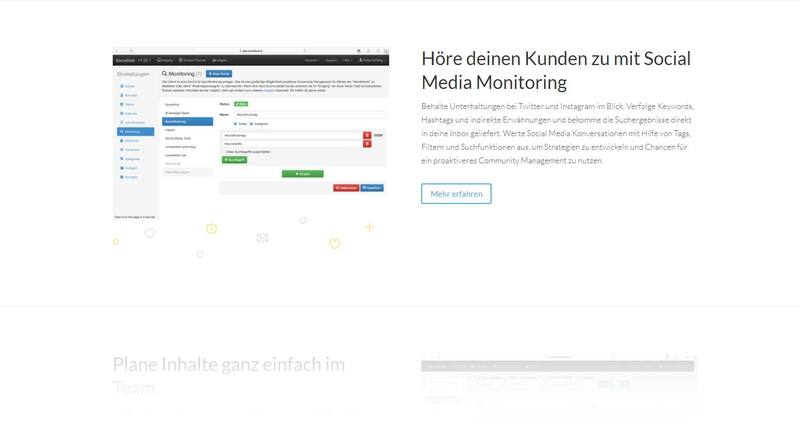 In addition to the communication aspect of the Social Hub, it is also about media monitoring. Here you can track keywords in the long run, but also Hashtag and indirect mentions of your own channels. This is how you get the relevance of your own brand and the extent to which the range increases. 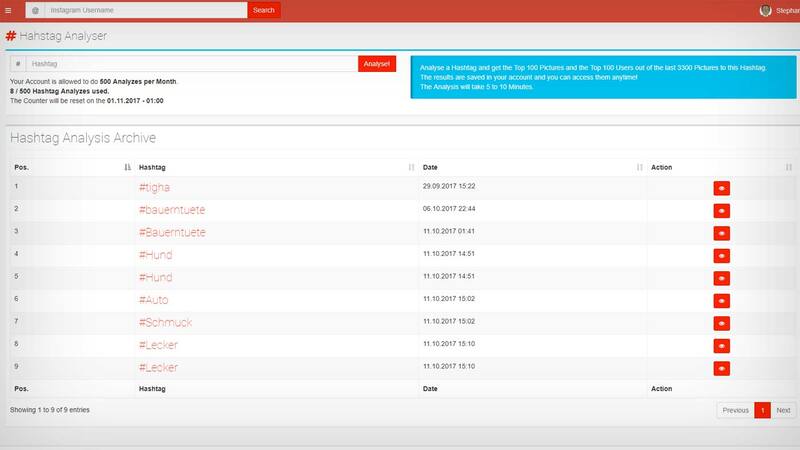 Because it is not always possible to track the numbers on your own channel, it requires more complex software solutions that can also be used to monitor social media marketing. For an optimal workflow and the better collaboration of users, there are also team planning tools. This allows a superior marketing manager to structure their own team, between different networks, so that everyone knows their focus. The advantage of the extensive analyzes and evaluations is that you can optimize your own strategy on the basis of real data. As a result, the social media activities and their own figures and evaluations of the performance become even more meaningful when looking at the individual channels. 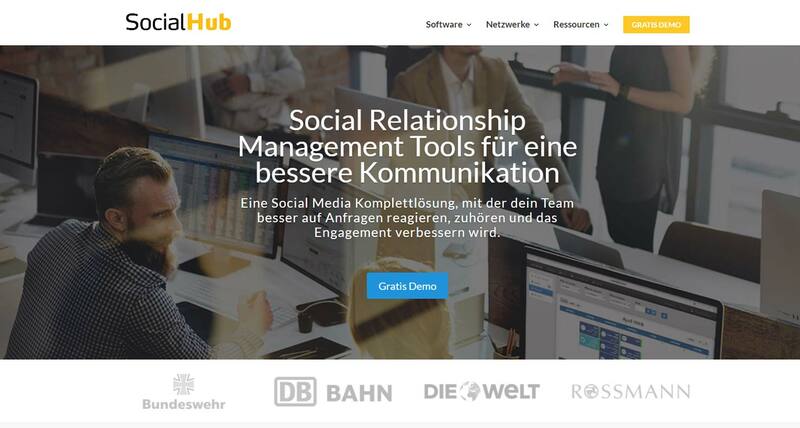 Social Hub offers a creative solution for strategists in social media management. In addition to the various administrative programs, there are of course other creative solutions, as well as the techworld social Racoon or the design software Kamber. It’s a real must-have, because everyone wants to create their own image postings and do not have Photoshop knowledge, will often despair with the amount of social media postings. The software can, however, offers a relatively easy entry, because the drag and drop design interface with its many free templates but also high quality background images is a fantastic alternative to Photoshop. Here too unskilled forces can quickly create beautiful and effective graphics for social media content. 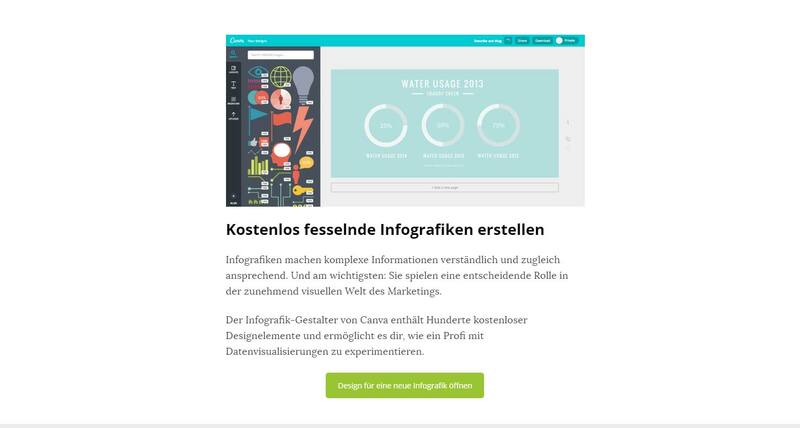 Canva offers the creation of different document types. 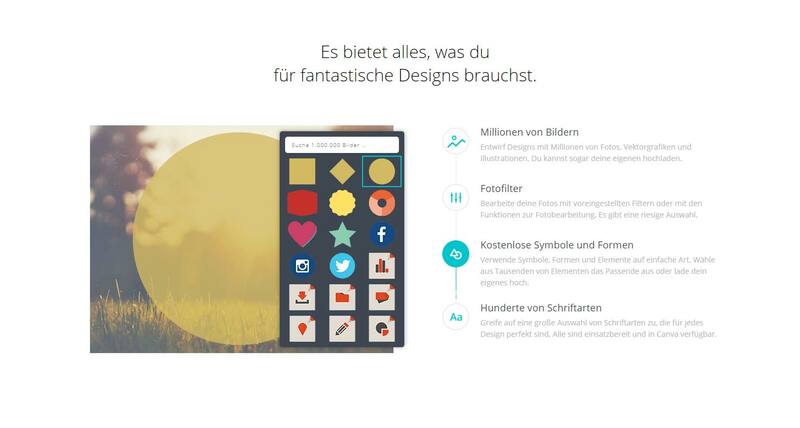 Whether it’s an e-card, a logo, a photocollage or even an infographic that is very popular among users, eg. for the representation of complicated statistics and tables in simple form with icons and appealing optics. However, the software also offers photo processing options, as well as softeners or speech bubbles and photo frames. This allows great photo effects to be achieved! 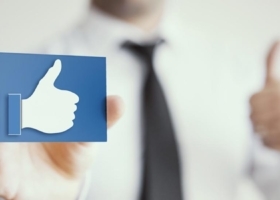 Although we want to focus on the serious software offerings, we also want to show a solution, which deals specifically with the putting down of Likes and comments. These software solutions are called bots. Bots simulate human behavior. This goes on different levels. Bots are programmed to react like human beings, even in movements. As a human being, you will slip your finger over your mobile phone or even simulate mouse movements. Moreover, clicks are not immediately dispatched, so that, for example, 1000 Likes can be made within a few seconds, then nothing happens. The software is smarter. As a rule, the likes are distributed to the set of time so that, for example, within one hour 100 Likes are handed out, these then distribute by chance. While a like is already given after a minute, a second is only given after 3 minutes, in between the bot still clicks on one or two photos and closes them again. This is how it works for the social network operator, as if a real person were concerned with the software. It is just a program. In principle, however, it is nothing more than an employee who is eight hours continuously active, then again sixteen hours away. The bots can be set so that you can, for example, the definition can make that a word is intended only at fans specific competitors. Due to the relatively close target group, a target group migration to the own channel is likely. The big goal of social bots is to increase their own reach. By stating “I like”, comments and the consequences of people, other users are aware of their own channel. Many will now click and see who the person is. Once again, a certain percentage approach will remain a fan. This allows you to expand your own range relatively quickly. 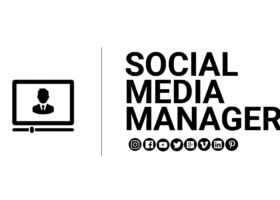 However, this type of social media marketing is not desirable for advertising agencies and renowned companies because the interactions are not real and may lead to risks in social media management for companies. In addition, you do not have an exact control of which comments are set exactly. It would be embarrassing, for example. in a competitor to make a benevolent comment with “Wow, that looks fantastic!”. Likewise it would be reprehensible, eg. a baby photo. This randomness leaves many companies and companies as well as agencies of bots. Large platforms such as Instagress were also legally attacked by the Instagram and had to terminate their service after court decision. But there are many alternatives on the web. Instazood is one of them.